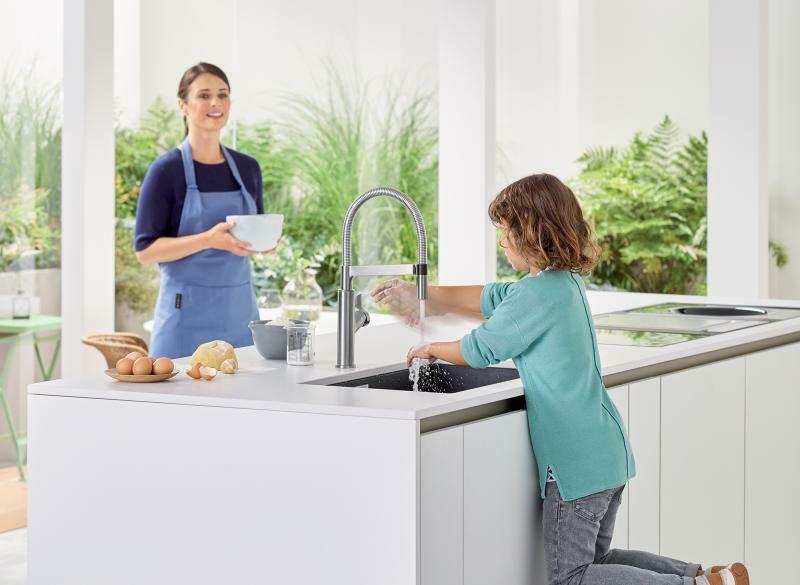 Blanco has introduced the Solenta professional-style, pull-down kitchen faucet, which features an option for touch-free control. The German manufacturer says it designed the Solenta and the hands-free Solenta Senso with a powerful dual spray and a closed coil that’s easy to clean. The semi-professional faucets also feature a quick-release magnetic hand spray. The Senso version of the faucet features a motion sensor under the sprayhead docking arm, which turns the faucet off and on when a hand is waved beneath it. The faucet head swivels 140 degrees. Both faucet options are offered in stainless steel and polished chrome.